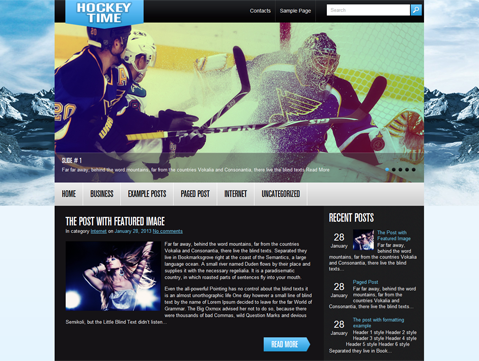 HockeyTime is a visually engaging premium WordPress theme that is made for sports fans and bloggers. 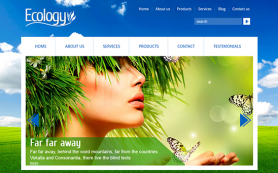 It has an exciting new design and a superb mix of black, white and blue colors. 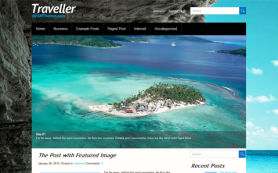 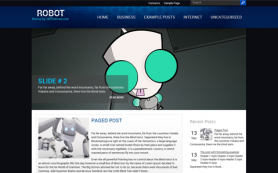 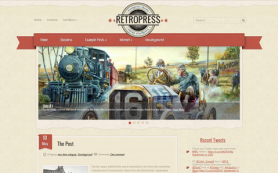 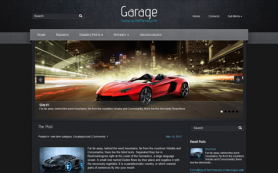 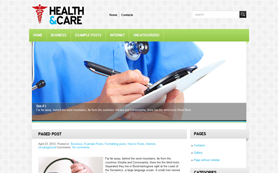 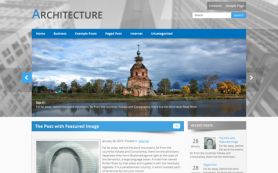 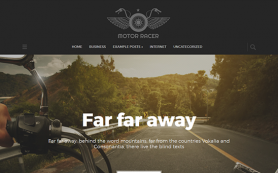 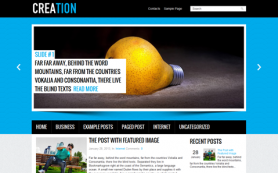 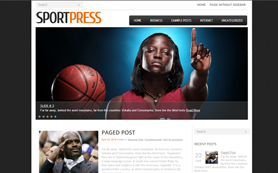 The free WordPress theme has a lot going for it, making it very easy for you to layer your own flavors of style to it. 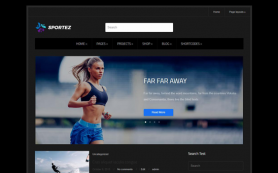 Lots of easy customization options make HockeyTime a very versatile theme that will judiciously balance and showcase your stellar images and content beautifully. 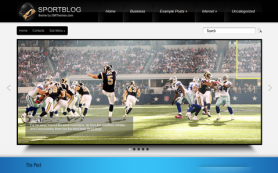 So download the theme to bring the thrill of your favorite sports to your sites.